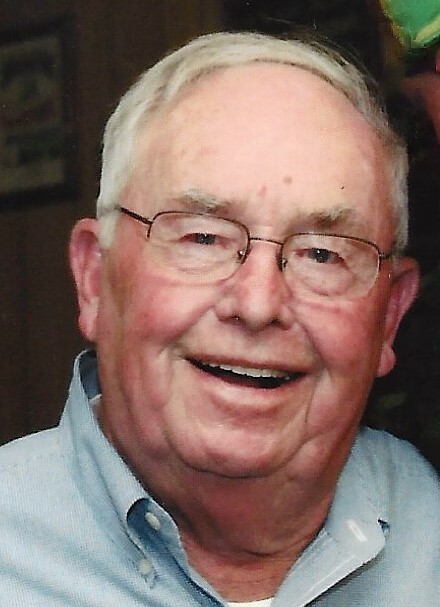 Billy Forman Ross, 87, lifelong resident of May’s Lick, passed away Thursday April 5th 2018. Billy was born May 12th, 1930 to the late Forman Clayton and Mary Frances Ross. Billy grew up in Sardis, and attended school at Sardis Consolidated Schools where he met his future wife, Wanda F. Mullikin Ross. The two married December 25,th 1949 and spent 51 years building a beautiful life together until Wanda’s passing October 9, 2001. Billy and Wanda were blessed with four children: Karen (Kim) Myers of Wellington, FL; Barbara Boone (Larry Poe) of Maysville, KY; Billy Keith (Kathy) Ross of May’s Lick, KY; and Meri-Beth Banks of Venice, FL. He has left a strong legacy in each of his children by teaching them the value of hard work, honesty, the love of family, and the importance of Jesus Christ in their lives. Billy spent his life in public service wearing many different hats through the years including selling crop insurance, Deputy Sheriff, Sheriff, County Judge Executive, and a life-long Farmer. His favorite memories and stories included times out on the farm with his kids and grandkids, whether that was checking on cattle or reeling in a big catfish out of the family lake. Papaw Ross adored his Grandchildren and Great-Grandchildren and enjoyed having them around whatever the occasion including dinner out at his favorite local restaurant, Frisch’s, and always leaving them with a dollar or two “just because”. Grandchildren include: Ross Ellis, Adam (Brooke) Myers, Paula (Marty) Sheffield; Angie (Chad) Ishmael, Clay (Jennifer) Boone, Sarah (Lahiru) Jayasuriya, Lawrence (Yngvild) Poe; Laura Ross, Bethany Ross, and Christopher (Brittany) Ross; and Dylan (Clarissa) Banks. Great-Grandchildren include Jarrod, Spencer, & Libby Ishmael; Bailey & Blake Boone; Isabella & Jax Jayasuriya; Gavin Ross, Penelope & Ava Ross; Dalton & Andrew Scully, Parker, Grant, & Kaylynn Myers; and Mathias & Gustav Poe. Billy was an active community member and involved in many organizations including being a charter member of the May’s Lick Lions Club, Active Sheriffs’ Association, a founding member of May’s Lick Volunteer Fire Department, a Deacon and Elder at May’s Lick Christian Church, and an avid John Deere Tractor Enthusiast, and collector of Gulf Oil Signs. Billy is also survived by his brother, Bobby (Edna Earl) Ross of Fort Thomas, KY. In addition to his wife, he was preceded in death by a brother, Herman Ross, and Grandsons, Justin Boone and Alex Banks. Services for Billy F. Ross will be held at the May’s Lick Christian Church at 11:00am on Monday, April 9, 2018, with Pastor Alex Campbell officiating. Interment will follow in the May’s Lick Cemetery. Pallbearers include Grandsons: Ross Ellis, Clay Boone, Christopher Ross, Dylan Banks, Chad Ishmael, and Lahiru Jayasuriya. Serving as Honorary Pallbearers are Wayne Ross, Kenny Ross, Frank Day, Jason Gifford, David Mason, and Tony Wenz. Visitation will be held at the Palmer Funeral Home & Crematory in May’s Lick on Sunday, from 2-5pm.